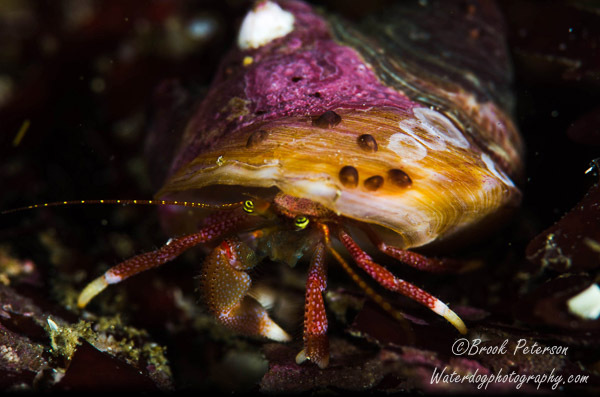 As a California scuba diver, I spend a lot of time in the coastal waters surrounding my home in Southern California. But every once in a while, I get to explore the California coastal waters in Central California: Monterey Bay. 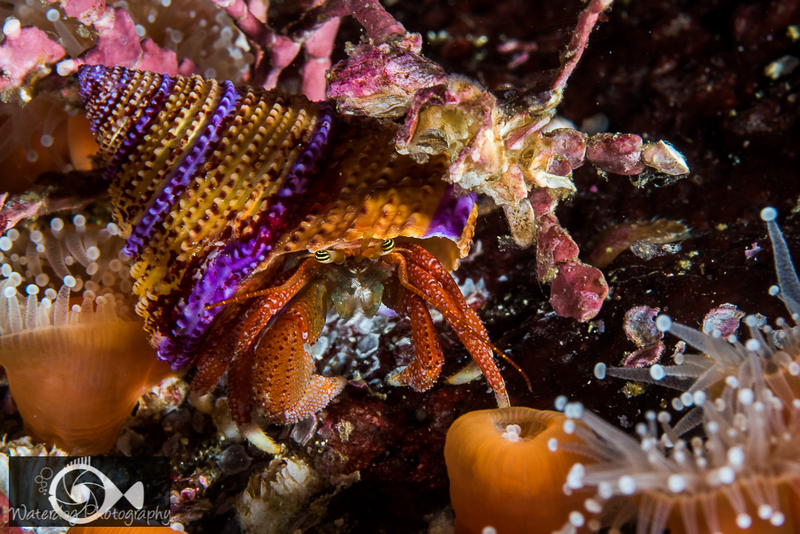 The Northern California Underwater Photographic Society (NCUPS), and Backscatter Underwater Photo and Video sponsor a contest in Monterey called the Monterey Shootout. This is what initially lured me into the colder waters up north. 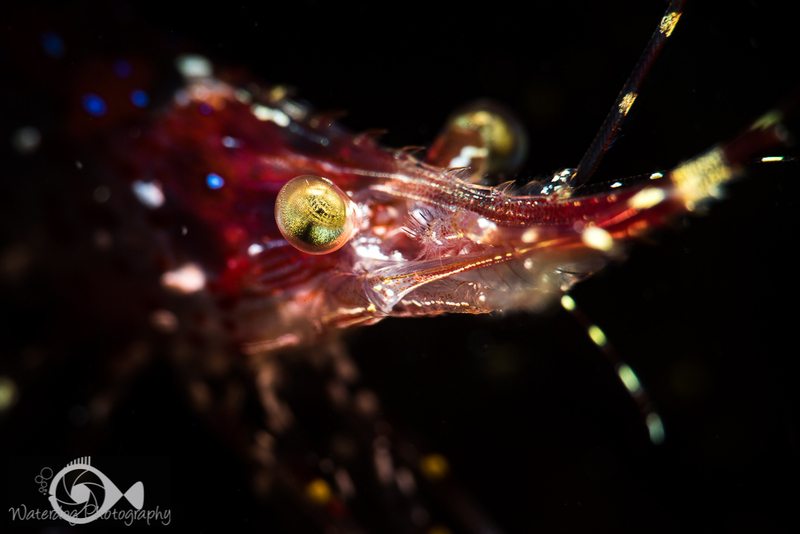 Last year I attended and won a nice prize to Raja Ampat, Indonesia for my efforts. This year I won a second place and an honorable mention in my division which earned me some new photography gear. The contest is expertly managed and the atmosphere is friendly, making the whole experience very pleasurable. 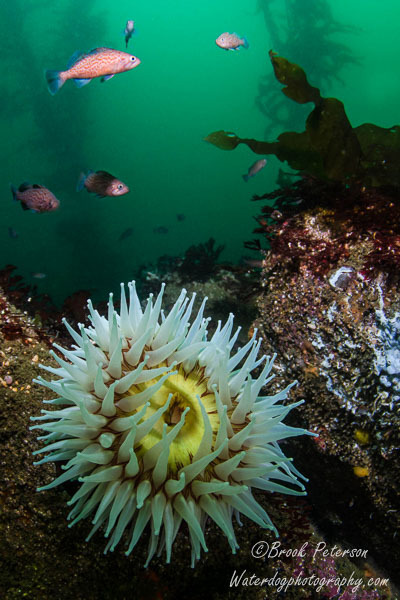 As much as I love participating in the Monterey Shootout, it is not the anticipation of winning a prize that attracts me to Monterey as much as the great diving experience. This year, the water was unusually blue and calm. There were many creatures and critters to be found and many that I have not seen or photographed before. In addition, I made new friends and sincerely enjoyed the company of old ones. 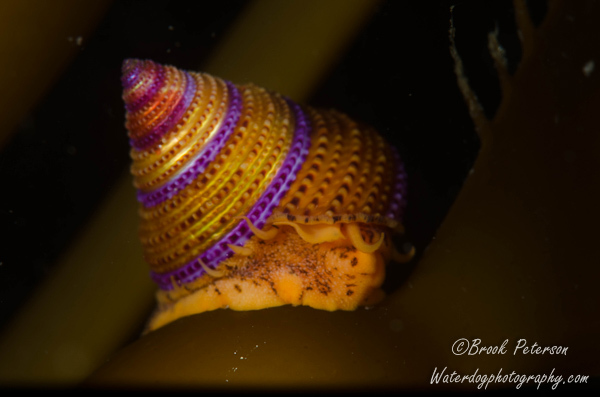 One of the common critters in Monterey is the beautiful Top Snail. 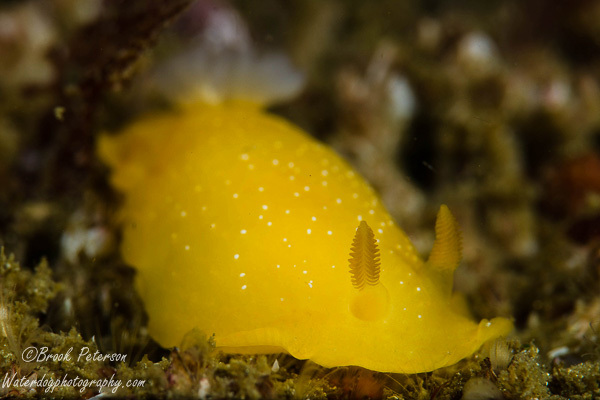 They can be found all over the kelp and reefs of Monterey. 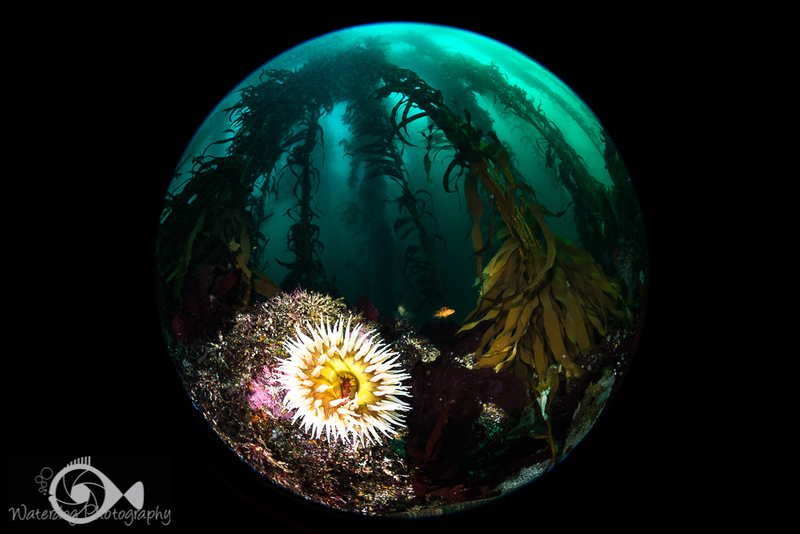 The image above is quintessential Monterey: A beautiful anemone on the reef surrounded by the kelp forest and fish. This image placed second in the Unrestricted Wide Angle category of the contest in the Intermediate division. 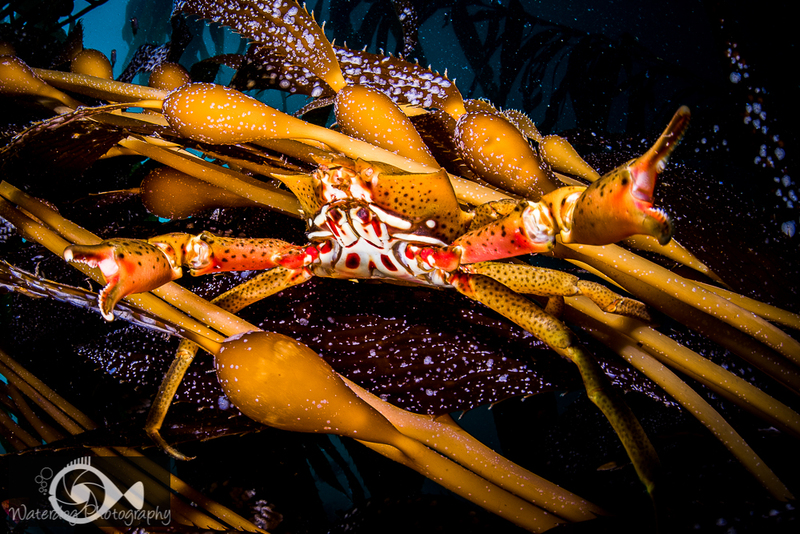 If you are observant, you might be able to find a kelp crab. They are camouflaged by the kelp but can be seen skittering away if you get too close. In the crooks and crannies shrimp are abundant. This image received an honorable mention in the Monterey Shootout. 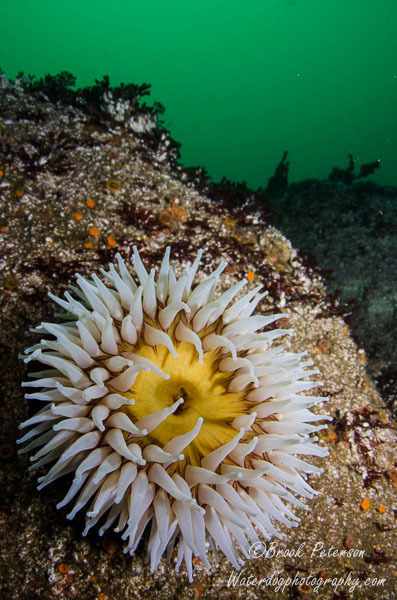 Did I mention all the beautiful anemones? 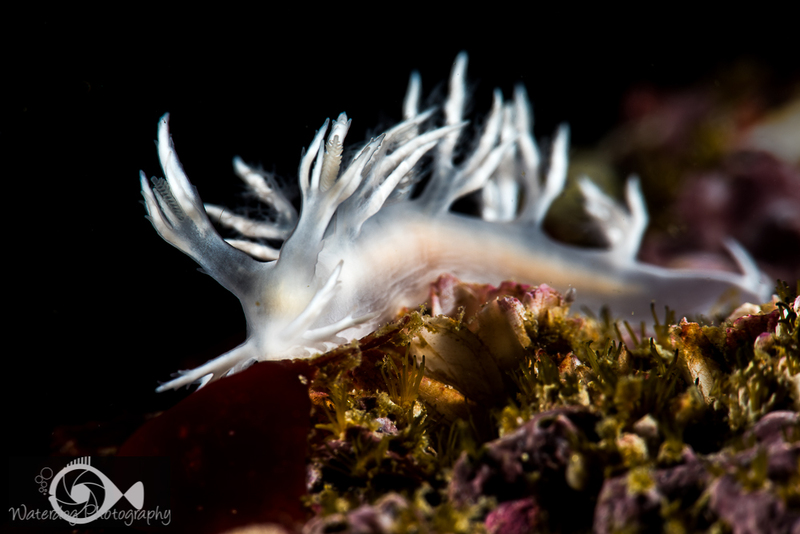 Nudibranchs also abound on the Monterey reefs. This one is called Dall’s Dendronotis and it is tiny and delicate. Decorator crabs and hermit crabs are everywhere. 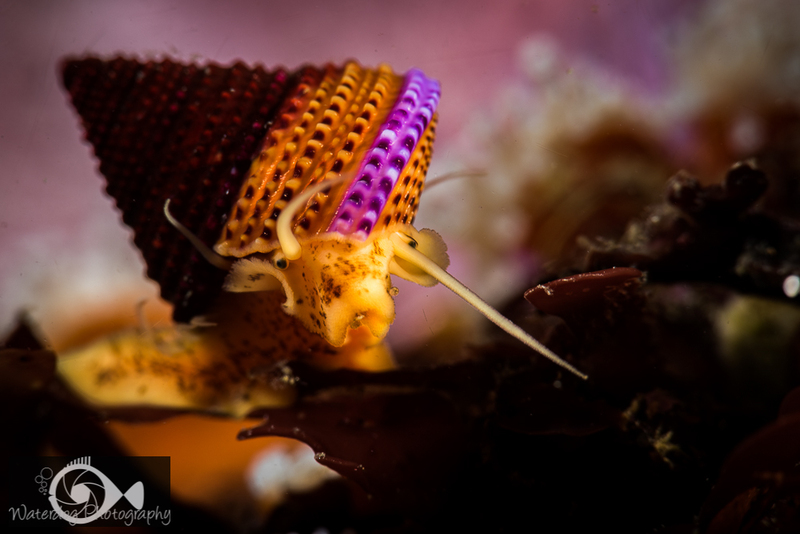 I loved this one because he made his home inside a beautiful top snail shell. 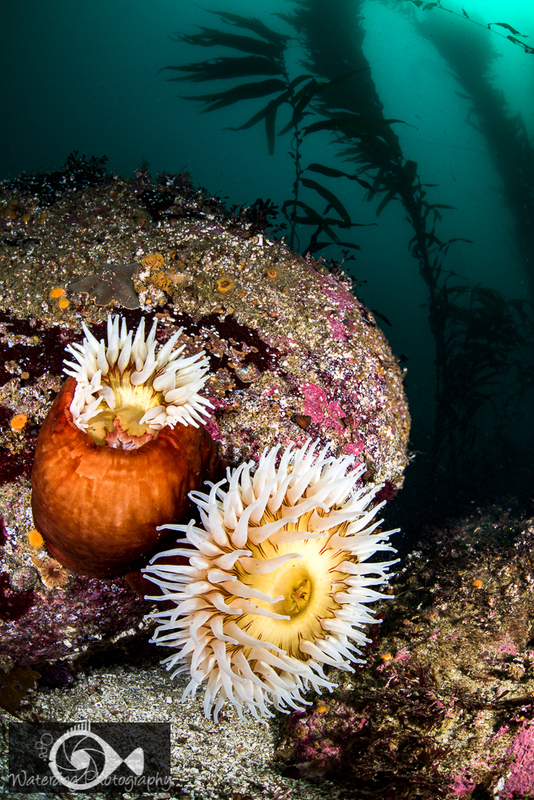 Diving in Monterey may well become one of my guilty pleasures. If you take a trip to Central California, be prepared to dive in a drysuit as the water temperatures are in the 50 degrees fahrenheit range. 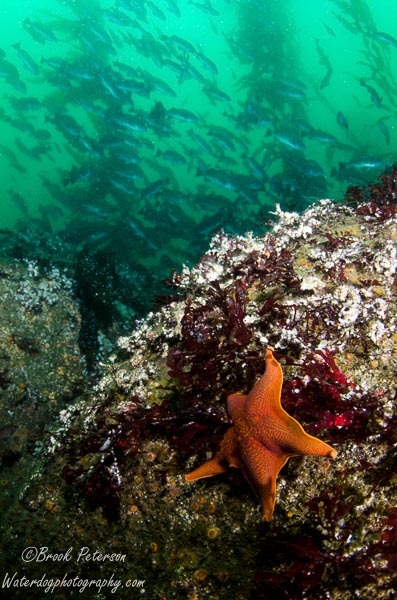 You can dive by boat or by shore, and enjoy the playful harbor seals, sea lions, and the occasional sea otter as well.